Certified divers can enjoy up to 3 dives on a day dive excursion with Poseidon. This includes drift and wall dives, isolated pinnacles and coral gardens with their endless variety of colourful marinelife. No experience is necessary to enjoy the thrill of scuba diving with a fully supervised introductory dive. You’ll be part of a small group and after tuition and briefing, you’ll be ready for your underwater adventure. Designed for personalised dive and snorkel adventures, Poseidon Outer Reef Cruises departs daily from Port Douglas to visit 3 different and unique reef environments. Our range of over 30 spectacular and exclusive reef sites at the Agincourt ribbon reefs and Escape Reef, enables us to offer some of the very best day boat diving. 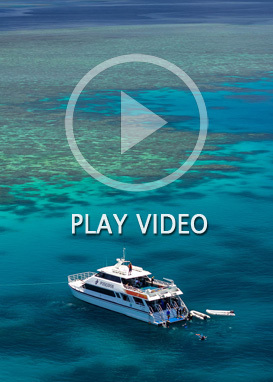 With clear outer reef waters, beautiful corals and incredible marine life diversity, the Agincourt ribbon reefs offer the opportunity to snorkel and dive in some of the most pristine and special places on the entire Great Barrier Reef. Enjoy unlimited snorkelling in this marine wilderness, first time divers can try an introductory scuba dive, and certified divers can experience up to three dives. Poseidon has limited passenger numbers to ensure personalised service and attention. Whether you choose to snorkel or dive, with an amazing array of quality reef sites, attentive and friendly crew, the comforts aboard and our special permit to swim with the Dwarf Minke Whales, Poseidon offers you the perfect setting to enjoy a day on the Great Barrier Reef.